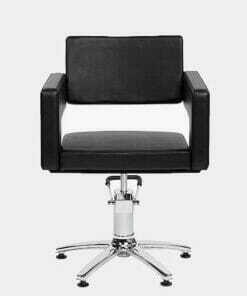 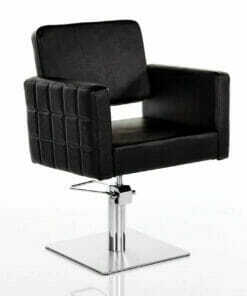 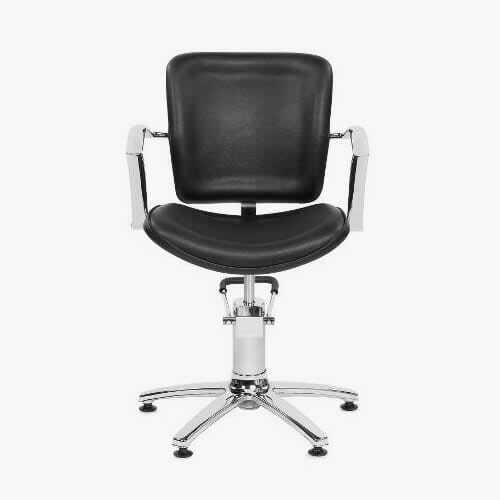 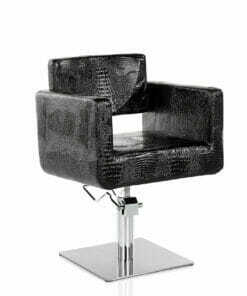 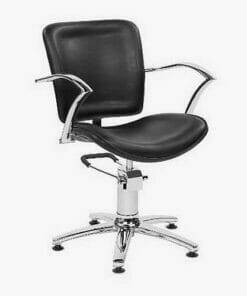 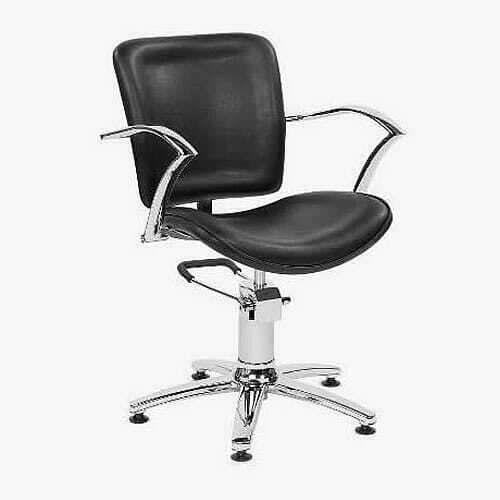 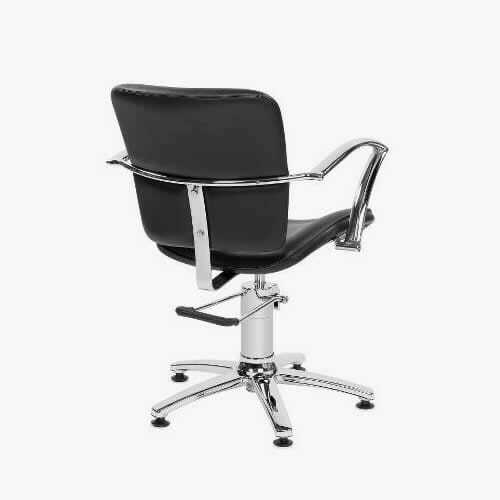 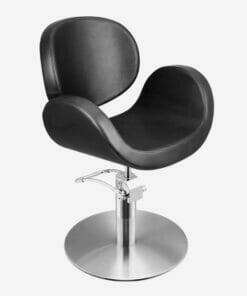 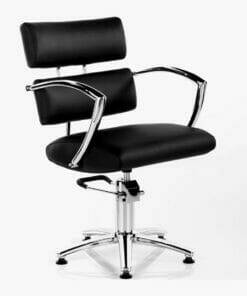 The George V Black hydraulic Styling Chair is a practical yet stylish cutting chair with a curved seat for added comfort made with hard wearing black upholstery. 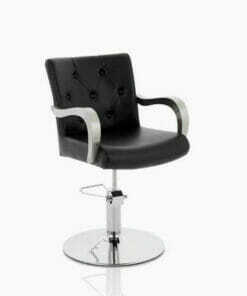 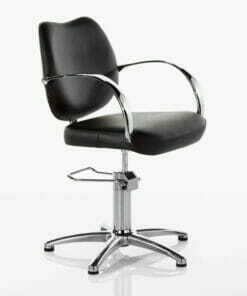 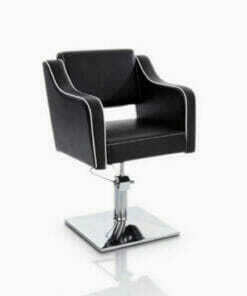 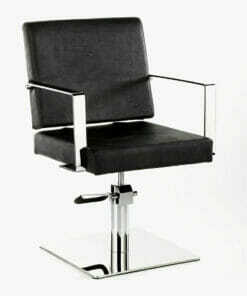 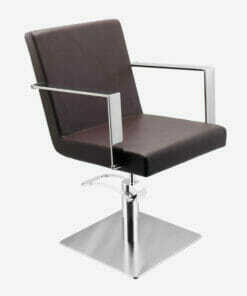 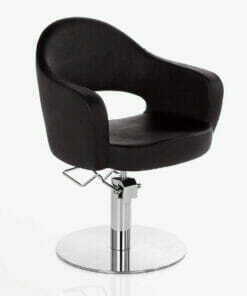 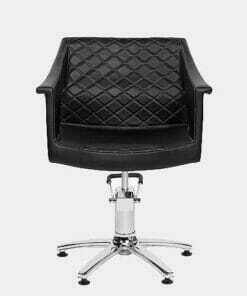 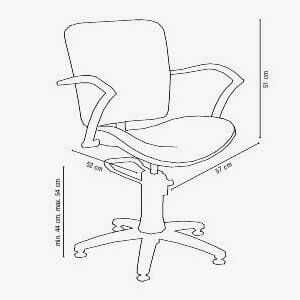 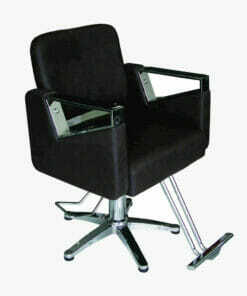 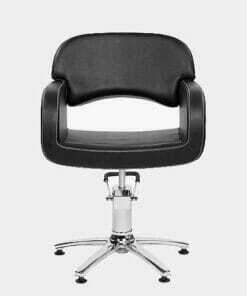 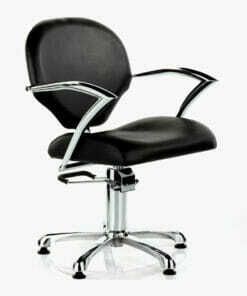 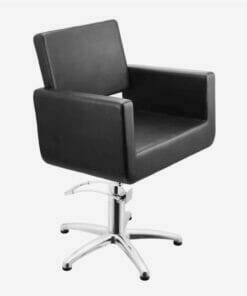 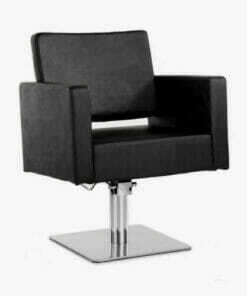 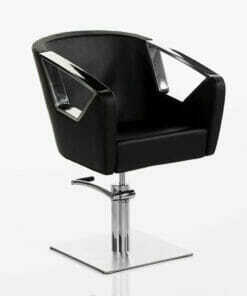 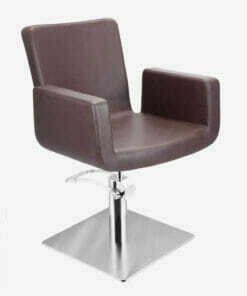 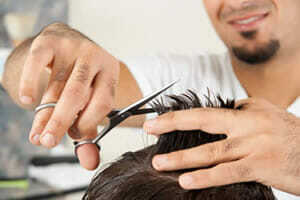 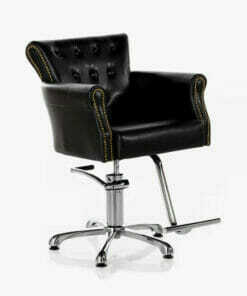 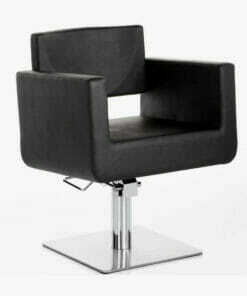 Comes supplied with hydraulic pump which locks to prevent rotation and features a chrome 5 star base. 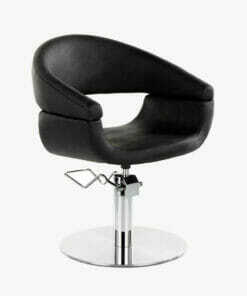 Dimensions: width 57cm, height 44-54cm, depth 52cm.